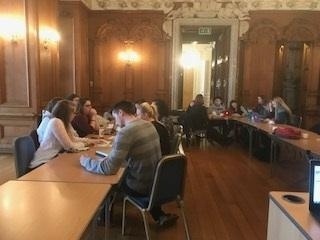 Health & Social Care students from Bishop Grosseteste University (BGU) in Lincoln visited American students to take part in a Dragon’s Den style task this week. 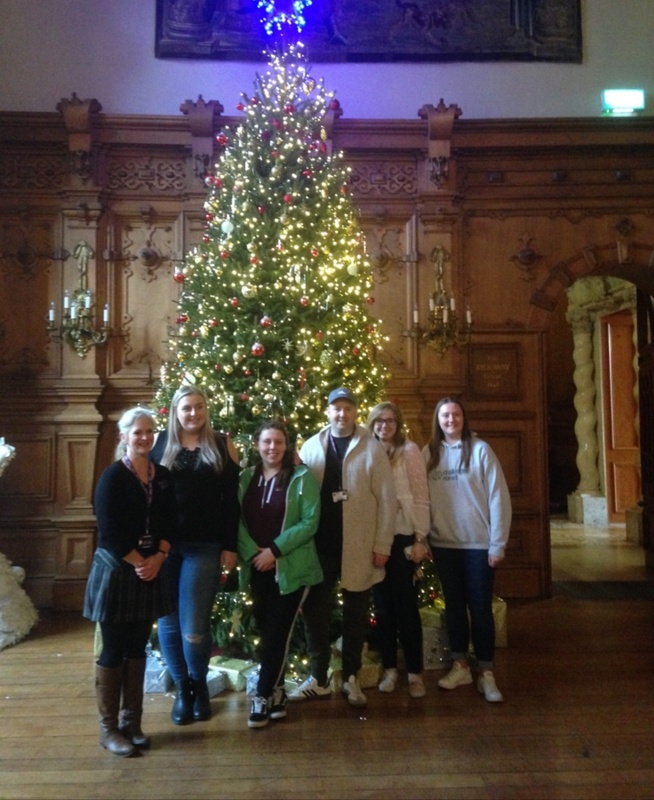 Students in the final year of BA (Hons) Health & Social Care at BGU paid a visit to Harlaxton Manor, the UK campus of the University of Evansville (UE), where American students are spending the semester. This followed a visit by UE students to BGU at the beginning of their Fall semester. The students took part in a Dragon’s Den style elevator pitch based on scenarios within health and social contexts. They were asked to develop a business plan that addressed the key strategic priority within their scenario. The task saw students given a fictional payment of £20,000 and asked to use this as their set up budget. They were asked to think about long term sustainable funding options as well as rationalise the plan against national and international priorities. The results showed creativity and engagement in the process. One project looked at the development of a range of activities to promote cultural well-being. Another focused on how to influence the parents of obese children, while the final group looked at social mobility using education as a model with targets being set to identify and support the most disadvantaged. The projects were put to a vote with the social mobility team being voted the project most likely to succeed. The afternoon also enabled groups of students to explore their subject specific areas and offered an opportunity for discussion around studentships in both countries. All students also took a tour of the 19th century manor house at Harlaxton Manor. Feedback from the day was positive with one BGU student commenting that it was “great to meet other students and to learn from both their learning experiences but about health and social care in the US”.